International delegates are some of the highest paid employees in multi-national organizations. This job role requires an immense amount of experience and some fundamentally strong core skills that only a few people possess. 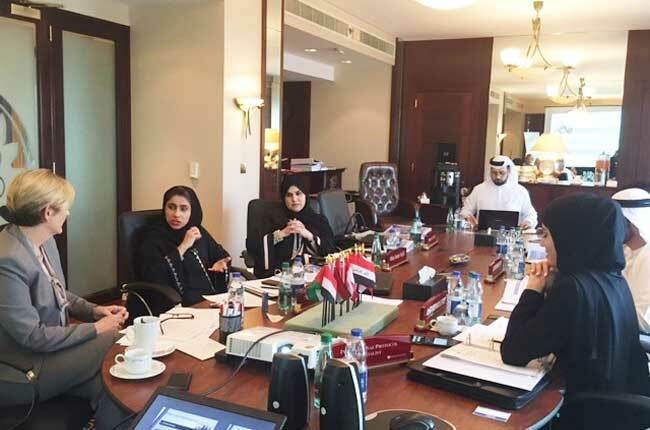 If you want to apply for the position of an international delegation in a multi-national corporation, our team of trainers at Protocol Training Dubai, UAE can prepare you for your dream job. We can help you develop the core skills for the job so that you can leave the interview panel of an organization stunned with your brilliance. We strongly believe that each individual trainee on our international delegations programs has a certain set of strengths and weaknesses. Our trainers are excellent at performing SWOT (Strength, Weakness, Opportunity, and Threat) analysis of the trainees to leverage their key strengths and work around their weaknesses. The personalized program helps our trainers provide a truly customized learning experience to the trainees which they don’t get in a traditional classroom setup. Our huge range of courses for the position of an international delegate helps us provide a wholesome training platform for the candidates. The training modules focus on improving multiple aspects of the personality of the individual. We have put a lot of thought in designing the training modules for our program. The modules leverage the modern-day case studies of the industry. They help us in preparing the trainees for all the probable conditions of a real job. The trainers at Protocol Training Dubai are equipped with the best training materials and technologies for their programs. They often use presentations, mock interviews, one-to-one sessions, and several other methods to train the candidates. These trainers recreate the real-world scenarios regularly on the international delegations training program so that the candidate does not feel overwhelmed with work on the real job. We have an entire team of professional trainers who can unlock the strengths of the trainees in a short period. The end-to-end preparation for the job of an international delegate helps the trainees start performing to the best of their abilities from day one on the job. Our training is open to both corporate professionals as well as freshers. We can customize the courses differently based on your experience. The trainers also have regular one-to-one sessions with the trainees so that they can discuss the progress of the training. We also take certification exams on the courses to measure the success and tweak the program according to the needs of the trainee. Get in touch with a training specialist from Protocol Training Dubai today to identify your core strengths and weaknesses. We can help you select the right courses, which will help you with quick professional growth.